As the final days of winter come to an end we are more than ready to soak up some warmer air, sunnier skies and longer days. This month is all about refocusing and refreshing in order to put your best self forward. Read along to see what the stars and beauty world have aligned just for you! Get. Ready. For. Your. BEST. MONTH. EVER. 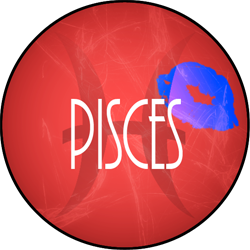 Aries, this March is going to be one to remember. 2018 has been good to you so far and it’s only going to get better. So many of your goals are going see some MASSIVE progress this month, which should come as no surprise considering how dedicated you have been to your success. Friends and family are going to be cheering you along this month and are so excited to see where life is going to take you. With such a superstar month, it only makes sense that you have some superstar makeup. Mascara, to us, is one of the most powerful and effective ways to boost your look. If you are an avid social media user you may have noticed the abundant amount of influencers living their best life on luxury trips thrown by Benefit Cosmetics. While some were parading around the desert and others were living that overwater cabana life in the south pacific all of them were celebrating the new BADgal BANG! Volumizing Mascara launch. 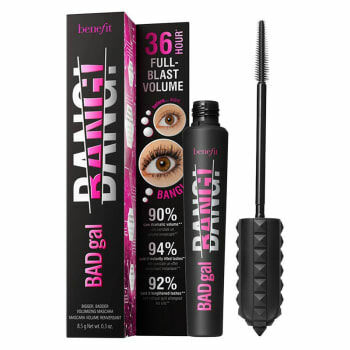 This mascara is no ordinary mascara, it is made to defy gravity, curl lashes and add a crazy amount of volume. When we tested it out it gave us the lashes of our dreams and better yet there was no flaking, fading or smearing of any kind. This formula stays put until you take it off. With a month as crazy and exciting as yours this mascara will be and should be your new best friend. 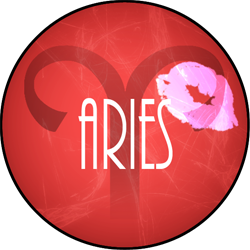 Aries, this month is going to be your month and you should be so excited for all that is headed your way! 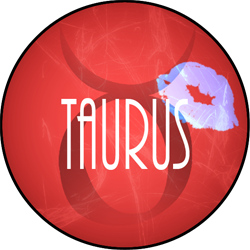 Warm weather, sunny skies and fresh spring air are going to bring you so much happiness and contribute to a very successful month of March for you, Taurus. Last month, you took the time to really take care of yourself and set yourself up for a successful spring. This month all that planning and hard work is sure to pay off. You may face a little bit of hesitation when it comes to setting your plans in action, it’s always a little bit scary to take that initial jump but just remember that nothing worth having is ever easy. Kick off each day with a smile and remember that you are capable of anything that you set your mind to. At the end of each day it’s also important that you take the time to sit back and reflect on your successes from the day. 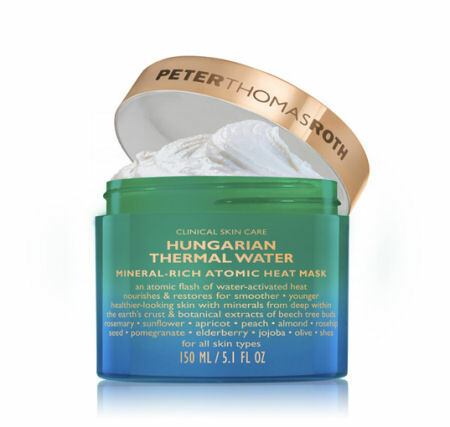 Peter Thomas Roth has a quick solution to finding that sense of relaxation, their new Hungarian Thermal Water Mineral-Rich Atomic Heat Mask is an anti-aging miracle mask that restores skin’s natural radiance through botanicals and Hungarian thermal water. 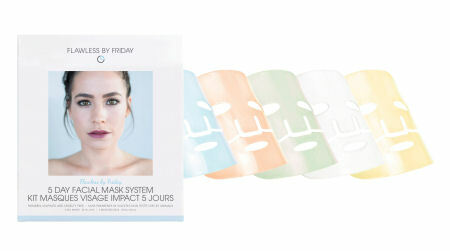 This mask will allow you to take the day off and start with a fresh, clean and glowing slate for the next day. Just as your working hard day in and day out to succeed in life, this mask will work just as hard to give you complexion of your dreams. This month you will be so successful as long as you keep a positive and determined attitude. 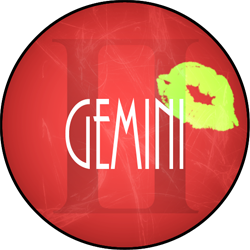 Gemini, this month will be a fun and social one for you. You’re a huge fan of being with friends and live for the change in season. This spring you are ready to jump into all sorts of new opportunities and adventure. You love being able to walk outside your door to explore the newest restaurants and scope out trendy places that have seemed to pop-up overnight. You will discover a sort of confidence that you have not felt in sometime. Just like you, brands are also coming out of the woodwork and launching their spring collections. Dr. Jart just came out with new masks that are equal parts fun and effective. Last year they released a collection of rubber masks that quickly gained a cult status among the beauty obsessed, this year they have changed things up by turning those rubber masks into a sort of science experiment. 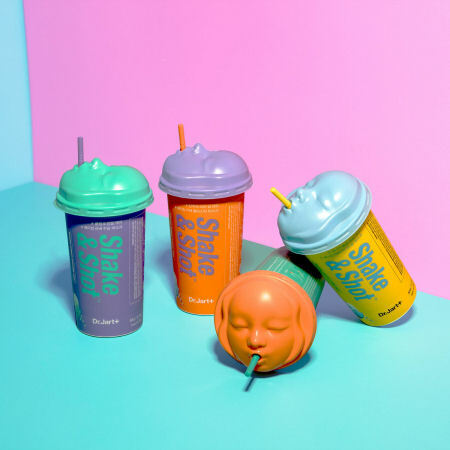 Say hello to the Shake & Shot Masks, just pour the two packets of mixture into their kitschy soda-pop like container and shake it up until your get a goopy slime-like consistency. Then, slather it all over your face and wait for it to dry into a hard rubber that’ll peel right off to reveal bright and glowing skin. There are four different masks each with a different skincare goal. Our favorite? The brightening formula with the firming one as a close second. We can promise that you won’t regret investing just a little bit more for these highly effective and fun masks. With warmer weather moving in and your bustling social calendar, you are sure to shine this month! As spring kicks off this month you will find yourself ready for a seasonal detox. Every aspect of your life is ready for a little bit of freshening up. You may find the desire to reevaluate your career goals and finally getting around to that gym membership that you may or may not have neglected during the cold harsh winter. When it comes to your beauty routine you should also consider switching things up. With the change in seasons your skin’s needs will change as well. 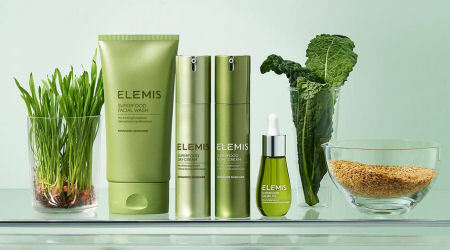 Elemis, one of our favorite skincare lines, has recently launched a Superfood Collection. This is not to be mistaken with your friends’ newfound obsession with eating kale and flaxseed, but it’s actually an antioxidant packed, all-natural skincare regimen. There are four products in the collection, cleanser, day cream, night cream and serum, and they all work flawlessly together to detoxify your overall complexion. Our favorite is the night cream. If you are not a huge fan of super heavy nighttime moisturizers but still crave intense hydration then this is a must have for you. This collection is packed with all the things that you see fitness junkies throwing into their smoothies, the good thing for you is that you can get the same benefits without have to pretend that you enjoy that green drink taste. We can promise you that taking the time to spring clean your life will only set you up for a major path of success in the coming months. 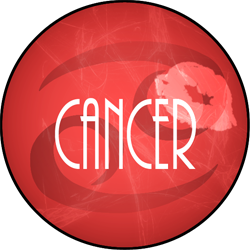 Happy March, Cancer! 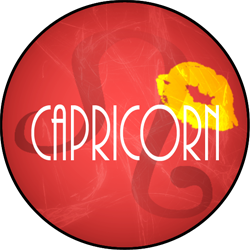 Leo, this month will be all about new adventures and jumping outside of your comfort zone. You have been working so hard these past few weeks and now you’re ready for a much-needed break. Planning a big trip for the coming months will give you so much to look forward to. In the meantime, head outside and find inspiration in the vibrant, blooming city around you! It’s crazy what a little bit of sunshine and warm weather can do. The hair brand IGK has always been known to push the limit when it comes to creating innovative new products. 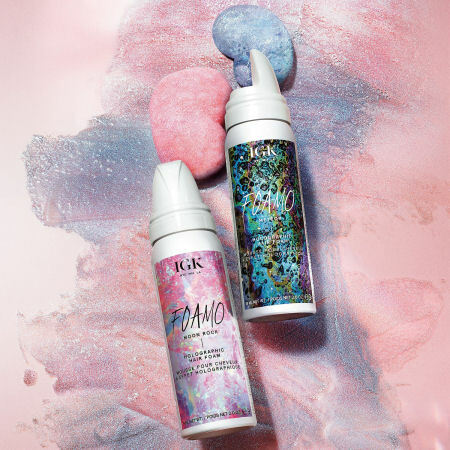 One of their latest products, Foamo Holographic Hair Foam, literally screams “I am cool, fun and ready for an adventure!” The lightweight, non-sticky foam has a holographic shift that, when applied to dry hair, gives you out of this world, festival ready hair. It comes in a galactic pink and a mermaid blue-green both of which look amazing on either light or dark hair. When you’re ready to go back to normal just hop in the shower and wash it out! Leo, this month will be nothing but fun, fun, fun for you and it’s only just the beginning of one amazing spring and summer! The sun is shining and the temps are rising! This month is sure to be a prosperous one for you, Virgo. You have a newfound sense of focus and energy and you are ready to power through to crush some goals. Opportunities at work will begin to flow in and your boss will be looking for you to be their sidekick. Friends will start coming out of hibernation and with them comes a busier social calendar. Winter has left you feeling locked up and bored, but now you are beyond ready to mix things up. The cold weather may have left your skin looking dull and worn out desperately seeking rejuvenation. Flawless By Friday, a brand powered by Canadian skin geniuses, has come out with MesmerEYES a 3-Day Eye Mask System that will plump, brighten and light up the delicate area of your face. In just three short days you will go from “the bags under my eyes are Chanel” to fooling people into believing you have gotten a solid 8-hours of sleep every night of your entire life. With all the new adventures headed your way, you don’t have the time to worry about covering up dark circles and sullen skin. Enjoy this month and all that it brings with it, all the while knowing you are you putting forth the best version of yourself. 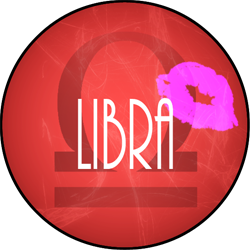 Libra, this month you are going to be faced with a little bit of insecurity. You may feel that heading into the third month of the year that you are not where you had hoped to be both professionally and personally. Rather than focusing on the things you feel as if you missed out on, take the time to reflect on all that you have accomplished. Sometimes it is easy to fall victim to comparison, but know that comparing yourself to those around you will not lessen the strains you are already feeling. This month it is important for you to shed the comparisons, what ifs and regrets in order to get yourself back to a clean, blank slate. Sometimes the world may feel crowded and over saturated, leaving you to question nearly everything. In the makeup industry, brands are feeling those same sorts of stresses, with unicorn glow this and coffee scented eye shadows that brands are often fighting just to get their newest and craziest ideas heard. 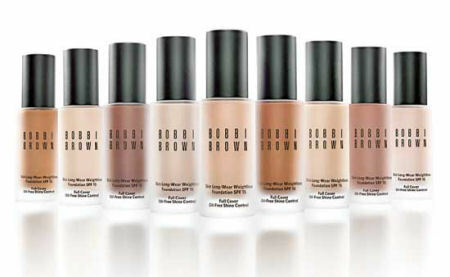 Bobbi Brown Cosmetics, however, has decided that rather than fall victim to the comparisons and competition they are going to invest their time in what they do best, creating holy grail, timeless products that we will use for years to come. Their newest addition is the Skin Long-Wear Weightless Foundation with SPF 15. With the weather warming up, this lightweight formula will feel as if you’re wearing nothing at all. It doesn’t take away or cover up your natural beauty but rather it enhances it, which when it comes to feeling insecure is exactly what you need. With all the stresses you may be facing this month, attempting to cover them up or mask them will not help at all. Embrace what you have, enhance what you’ve been given and work towards what your want to achieve! 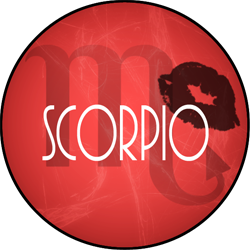 Scorpio, this month is all about spring cleaning and lessening the frivolities in your life. The dark cold days of January and February included lots of take out meals and online shopping. You may be feeling a bit claustrophobic and in need of a fresh and clean surrounding. Feeling a bit strapped for money will cause you to take a look at where your dollars are being spent. Learning to invest your money on necessities rather than falling victim to what is trending will help you out in the long run, especially as the warm weather will bring with it all kinds of trips and opportunities that you won’t want to miss out on. When it comes to beauty products the line of what’s a necessity is sometimes hard to read. The way we like to view it is, if the product is something we would use for any type of look whether it be subtle or bold and it’s something that is also hassle free and small enough to toss in our purse then we would consider it more of a necessity and worth putting our money towards. 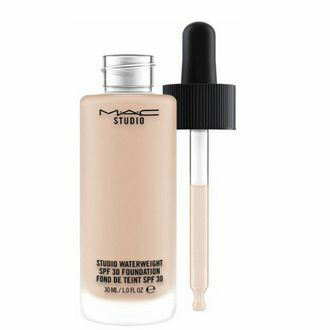 MAC Cosmetics, usually a brand more geared to avant-garde looks and bold, pigmented eye shadows and lipsticks loved among makeup artists world-wide, has come out with one of the most natural and lightweight concealers that we have ever used. The Studio Waterweight Concealer is highly pigmented, very fluid and the littlest bit goes the longest way. The dropper application makes it easy to dot just the right amount of product wherever you need it. When it comes to makeup this concealer is our top pick this time of year, leading us to clean out all the ones we’ve been hoarding throughout the winter months. YAY FOR SPRING CLEANING! We have no problem justifying the purchase since its price tag is lower than most other high-end concealers on the market. Its versatility, lightweight texture and sleek matte bottle make it the fresh breath of air that your skin, wallet and vanity is looking for this month, Scorpio! 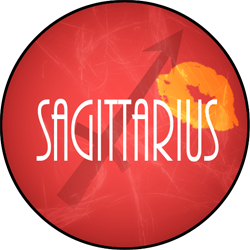 February was a tough month for you, Sagittarius. On the bright side March will not only be better but it will bring with it some much needed spring time weather. Heading into the month you will have a newfound pep in your step and your eyes on the prize. You have a lot you want to achieve and with the warmer weather you finally have the motivation to set the hustle in motion. Your positive vibes and happy-go-lucky attitude will lift the spirits of those around you as well, making you the person everyone will want to gravitate to. With your vibrant personality it only makes sense that you do your makeup to match. As you come out of hibernation you may feel that your skin could do with a little pick-me-up to shed the dullness of leftover from frigid winter temps. Josie Maran Moonstone Drops Makeup Priming and Highlighting Oil is the perfect addition to your new springtime makeup routine. Applying them to fresh, clean skin will leave you with a glowing and youthful complexion. Adding them to beneath or mixed into your foundation will transform the coverage into a radiant finish. March is going to be a fantastic month for you, so take advantage of all the new opportunities and adventures that are sure to be headed your way! March will be all about finding comfort in your hectic life. You’ve been so determined and caught up with work these past few weeks that it’s time to focus your energy on catching up with family and friends. Taking the time with loved ones will uplift you and bring about a sense of peace to override the amount of stress you’ve recently been facing. However, sometimes it isn’t possible to be physically present with those closest to you, whether it be distance or other personal matters, but you can still work to achieve a level of comfort that will simmer down the pressures and struggles in your life. An easy and quick way to relieve stress is through a little self-pampering. After a long day at work sometimes all it takes to calm down is an at home spa day or evening. 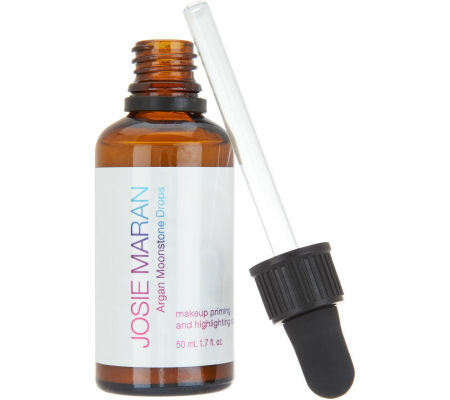 Josie Maran luckily has made this a very doable task. 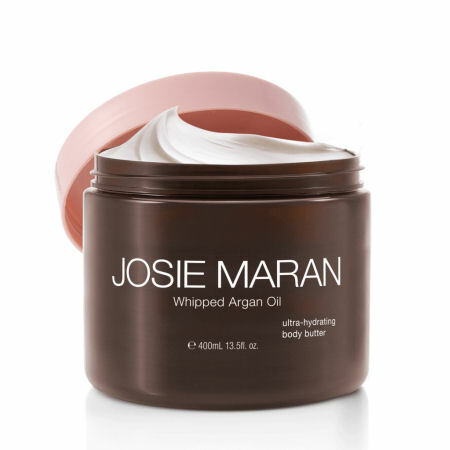 What makes Josie Maran stand out amongst other natural skincare brands is its devotion and inclusion of argan oil in each and every one of its products. The rare oil is incredibly moisturizing, completely natural, packed with vitamins and antioxidants and has been coined the nickname “liquid gold”. When it comes to your at home spa session, we adore the bath, body and skincare products. We start with the Whipped Argan Oil Cleansing Body Butter, which feels luxurious during a hot shower, then we apply the Whipped Mud Mask Argan Hydrating & Detoxifying Treatment to our face and while that’s working its magic we lather on the luxurious Whipped Argan Oil Body Butter for maximum hydration. Finally, we rinse off the mask and apply just two drops of 100% Pure Argan Oil Light to our face to give us a moisturized and vitamin enhanced glowy complexion. So during times of stress remember that you can find comfort some easy and simple additions to your routine. Aquarius, this month will be all about communication and creating new friendships. You will be faced with tasks at both work and in your personal life that will require collaboration amongst coworkers and friends. Putting the hustle in your work and social life will bring about endless new opportunities. Stepping out of your comfort zone is a good idea this month as well, plus you never know just whom you’ll meet in the process. Rather than going home straight from work take up that invite from friends to grab drinks or check out that new restaurant you’ve been yearning to try. When it comes to going from day to night it can sometimes be a bit harder than just closing your laptop and heading out the door. By the end of a long day you may be in need of an outfit change or a makeup refresher. 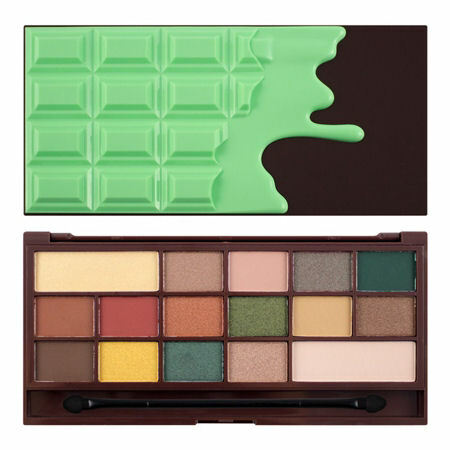 Makeup Revolution has made the transition from day to night that much easier with their Mint Chocolate Eye shadow Palette. Packed with 16 highly pigmented shades to choose from you can easily transform your subtle daytime look into a dramatic smoked out eye. It has everything from neutrals to pops of color, leaving you with endless amounts of looks. The cute and chic mint and brown packaging looks just like a chocolate bar and is slim enough to be tossed into your bag for easy travel. We can promise you that letting loose, even just a little, will pay off in the long run! March is going to be a month of much needed self-care. While you usually spend the time going above and beyond for those around you, it is time that you go above and beyond for yourself. Not only is your health important but your professional life as well. Rather than spending the days working to make someone else’s career better, put an emphasis on bettering your own. If you are feeling guilty about this just try to sit back and remember that if you don’t help yourself then you can never truly help those around you. Flawless By Friday, a newly founded Canadian brand, has come out with an amazing 5-Day Facial Mask System, to guide you on your quest to a better and more pampered you. Once a day, each day of the week starting on Monday, you will wear that day’s designated mask. The thought of even missing one day of the regimen seemed tragic, we didn’t want to even risk the idea of having only semi-flawless skin by Friday. While the regimen almost had an elementary feel to it with its simplified and step-by-step directions, the results were nothing short of extraordinary. We can assure you that by Friday evening and throughout the weekend, our skin was clear, plumped, even-toned and all-around flawless. Don’t feel guilty for indulging in some much-wanted self-care, after all the better you care for yourself the better you’ll care for others.